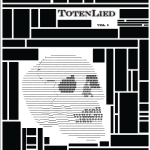 TotenLied is a collection short stories, flash fiction and experiments centered around my own fear and fascination with death. These stories have previously appeared on the internet in various forms over the past couple years. I’ve compiled them into a short eBook, and the PDF is free to download. This is a selection of sketches which I have written over the past year. Most of them have been preformed at various indie comedy shows around Los Angeles either as part of a class or with my sketch group, Field Day. I’ll be uploading more writing samples soon.